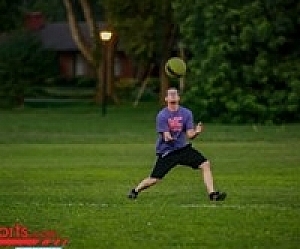 LXC Kickball will add fun and excitement to your life! Join other adult coeds and compete, socialize, and celebrate with friends old and new. 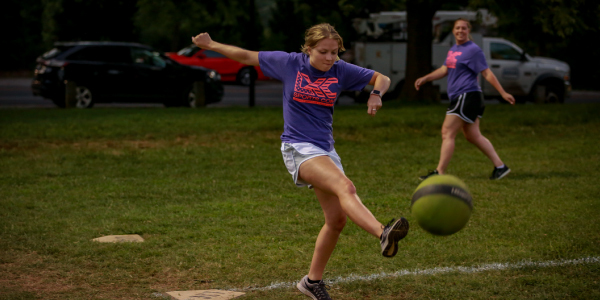 Compete with teams like "Kentucky Fried Kickin", "Kegs & Legs", "The Kickballers" and more! What to do after the game? We have you covered! 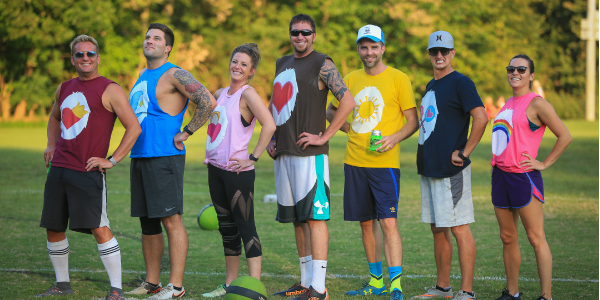 Join the rest of the kickball league at the Post Game Happy Hour Party where all kickball players will enjoy exclusive drink and food specials at a nearby location! If you are not playing Louisville Kickball with LXC your not maximizing your FUN! Life's a sport..PLAY IT! 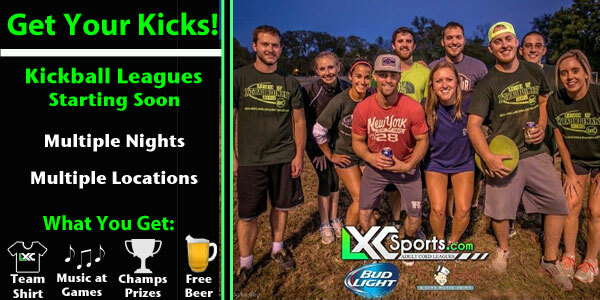 LXC Kickball Leagues are forming NOW! Teams consist of 10+ players. There are 10 players on the field at a time with a minimum of 4 females. All kickball leagues are 8 weeks long with a tournament on the 8th week! 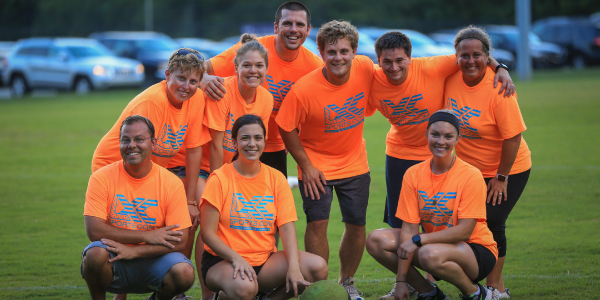 LXC provides all kickball leagues with team shirts, in game music, and post game happy hours! Leagues are now offered in St. Matthews, Springhurst, Oldham County, and New Albany! Life's a sport...PLAY IT!